I've forgotten what my original point was going to be today. I guess Happy Birthday, Malaysia! 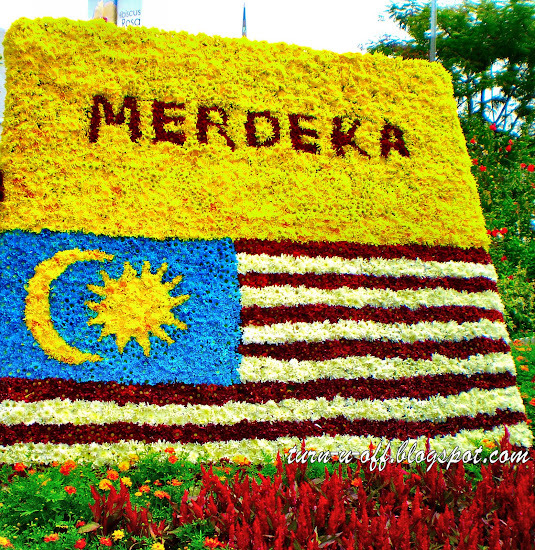 It's our Independence Day, so here's wishing every Malaysian a happy Independence Day! As for me, I just want to sign off and get some shut-eye now! 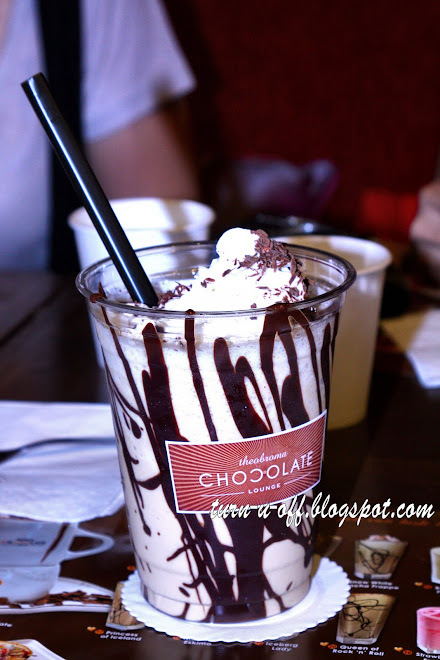 Tonight, I want to hang out at Theobroma Chocolate Lounge! by American rock band Heart. Hmmm yes, the title sounds very touching... “All I Wanna Do Is Make Love to You…” but avoid making the most embarrassing faux pas ever by dedicating this song to your one-and-only as that doesn't quite relay the correct message! Even though I had forgotten about Turn-u-Off's birthday, I did not forget today is my BFF Mariuca's birthday!!! I don't know how to bake a cake, so I baked a virtual birthday cake for her and I hope she likes it. 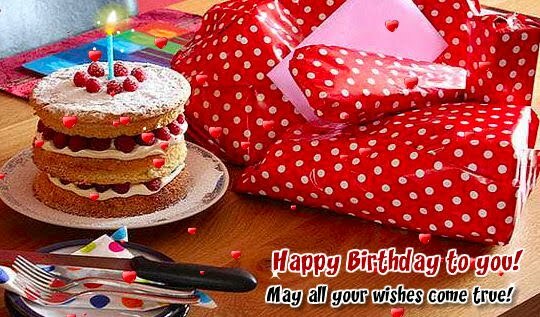 Birthdays are never complete until you've said 'Happy Birthday' to the birthday gal or boy! So stop by her blog and wish her a happy birthday! 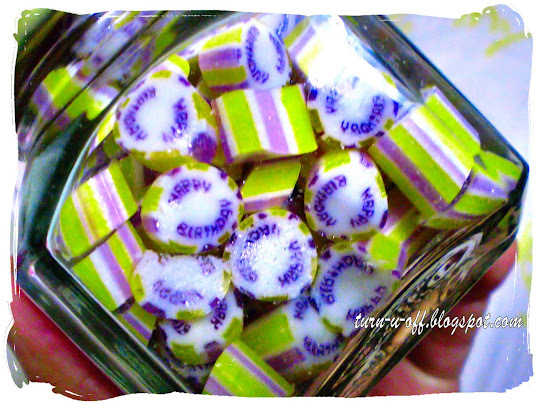 Right now, I have a jar of Sticky rock candies on my computer desk. I'm happily sucking away and I hope these will not give my dentist a heart attack or give me one heck of a tummy-ache! Sticky, Australia's finest confectioners are now in Malaysia at 1 Utama Shopping Centre. Have you ever tried it? I often wonder why any one use drugs would. What are the reasons behind taking them? Some people opt for even worse weight-loss methods by taking drugs like cocaine and Adderall (which is a drug for ADHD that also apparently suppresses hunger), reportedly used by Lindsay Lohan and Britney Spears, respectively. It has also been rumored that, in the modeling industry, horse tranquilizers are an approved weight loss method. Over the decades, we've seen countless celebrities do the usual dalliance with drugs and alcohol. Many remain addicts to this day, while some died young thanks to a drug or alcohol overdose. There are, however, some notable exceptions, wising up and successfully kicking their deadly drug and alcohol habit before it was too late. Long before Lindsay Lohan and Britney Spears hogged the headlines with their wild child antics, there was Drew Barrymore. At the age of nine, she was already smoking cigarettes. She was an alcoholic at 11, a marijuana smoker by 12, and a cocaine addict by 13. She went to rehab twice, and even attempted suicide when she was 14 but all that's in the past now. Her wild child days behind her, Barrymore has grown into a sober, responsible and productive woman. Whatever the situation, an addict has the best chance of surviving the damages of addiction if he or she seeks the assistance of a treatment or rehabilitation center. Each type of addiction is different, and specialized treatments and procedures have been developed to respond to these differences as there is no such thing as one-size-fits-all when it comes to addiction treatment. 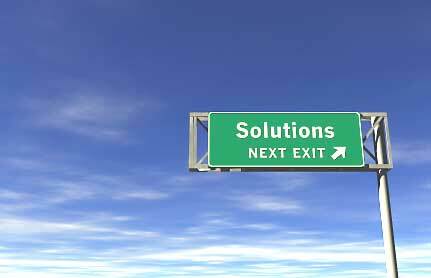 The most effective way to treat a drug addiction is through drug rehab. A Drug Rehabilitation program helps address the physical and psychological components of addiction through detox, counseling and aftercare. Many times people abuse drugs or alcohol in order to have "fun" or to get a "buzz." Many individuals, in fact, report that having a few drinks makes them feel more comfortable in social situations. The danger however is this. 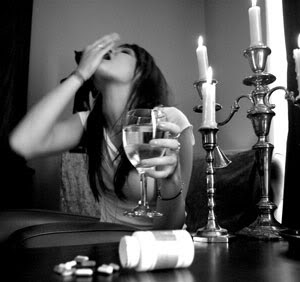 Repeated drug or alcohol abuse can result in addiction. Drugs or alcohol, just say NO!!! There are some things cannot be described directly, only circumnavigated, told in metaphor or story or perhaps song. So here is one of my favorite Indonesian songs, a song which has the ability to convey a message to a friend who is thousand miles away. Maybe someday, maybe someway, we'll meet again... *wiping tears* I'm sorry. Mungkin Nanti (Maybe Someday) by Peterpan with English subtitles. After a great dinner at Sakae Sushi, we visited Barack Obama Theobroma Chocolate Lounge in The Curve to have that little square of heaven to ourselves. I'm a HUGE chocolate fan. So, this Australian franchise is a must-visit! 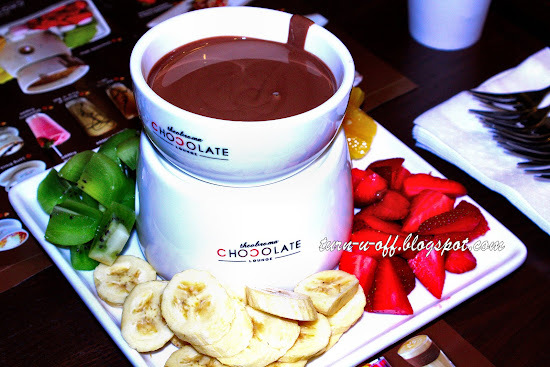 Luxurious, cozy and sensual are feelings that best describe a visit to a Theobroma Chocolate Lounge. There are loads of chocolate drinks on the menu. Also available are pancakes, crepes, fondue, waffles and stuff of that sort. We were spoilt for choice when it came to picking out the ones that we wanted! 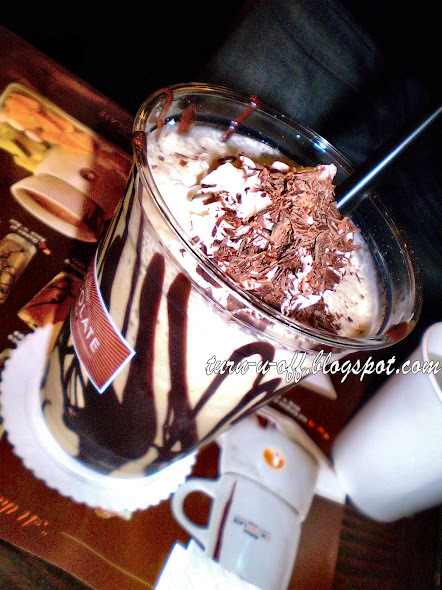 #2 I finally decided on the Snow White Frappe which is made with Belgian white chocolate. #3 Snow White Frappe (RM 12.90). 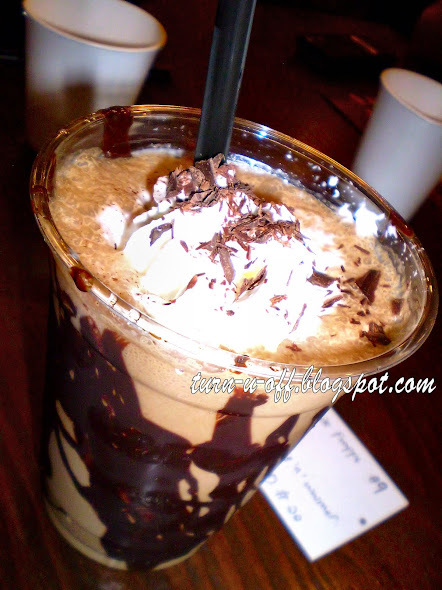 These drinks are made from chocolate bits which are melted and added into the drinks without any sugar. Yes, no sugar is added to their products, so eating chocolate as such is perfectly healthy, and good for you! 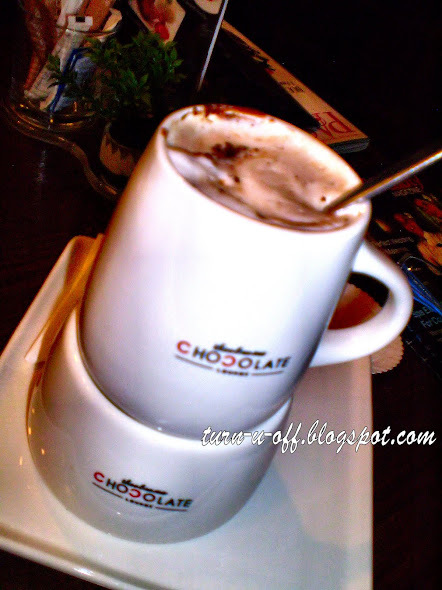 #4 Hot Belgium Chocolate in Mug 'n' Warmer (RM 12.90). Their Hot Mugs are a specialty, with a flame under the mug to keep the drink warm. 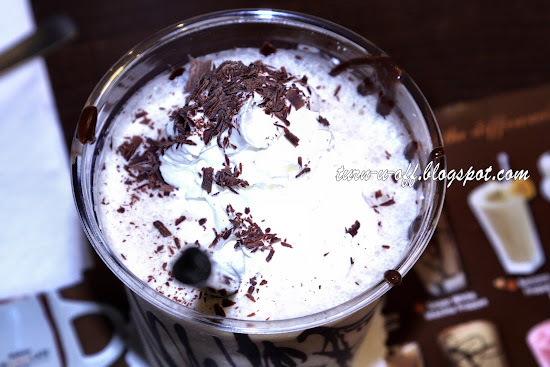 #5 Snow White Mocha Frappes (RM 12.90). #6 Queen of Rock 'n' Roll (RM 10.90). This milk chocolate shake was overwhelmingly thick and rich. Then, we had 'Chocolate Affair', a chocolate fondue creation, which was served in a special container with a lit candle underneath to keep it warm. 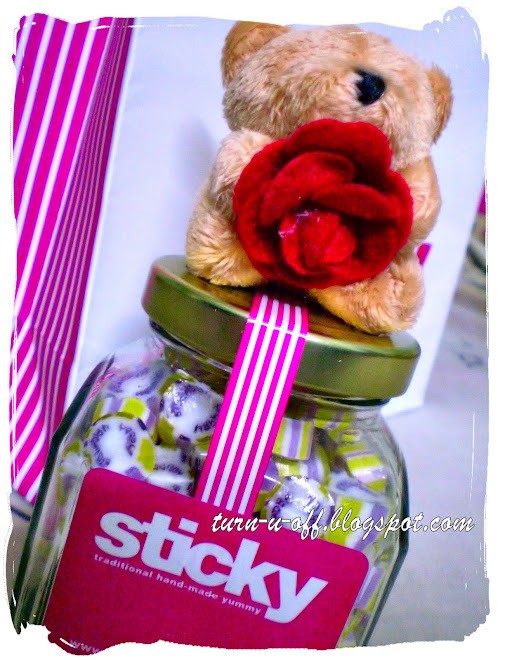 #7 Chocolate Affair (RM 25.90). You can dip fruits such as kiwi, strawberries, bananas or oranges into it. Each mouthful was a delight; the milk chocolate we had was rich in flavor, coating each fruit and lending its flavor beautifully. Highly recommended, and we are going back for another chocolate fix soon! Words cannot express the sinful sensation of enjoying this. What is there not to like, it's wickedly delectable and sinfully delightful! 'Food of the Gods', that is what the Latin word Theobroma means. 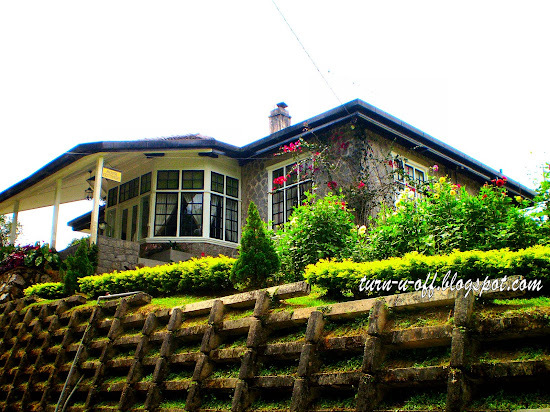 Muar Cottage @ Fraser's Hill. Who doesn't want one? It is inviting and seems to say "Come visit, something really cool can be found here." My mom and I love greenery. If you have seen her garden in our huge yard, you will know that she is really into gardening. She loves plants, lots of them, and gardening is a high-priority hobby in her life. However, I definitely do not have a green thumb. I'm not good with plants, flowers, gardening, etc. Now, she is in the process of landscaping our front yard and as such has added a few trees, and wants to put in some more. An attractive front yard gives a good first impression of a house and gives the house an automatic uplift. I had read that mulching the trees, shrubs, or flowers is a good idea to preserve water, prevent weeds, and protect them from lawn mowers and other garden equipment. So if you are interested in an easy way to make your garden beautiful and keep it that way, try landscape rubber mulch for all your landscaping needs! It is a unique rubber granule specially formulated from 100% scrap tires, in Rubberecycle's very own, state-of-the-art facility. For landscaping it does not fade, wash or blow away and will last for years. For playgrounds it has at least twice the shock absorbency on non-rubber surfaces making it a number one choice in for the best safety surface. Available in a wide spectrum of rich colors, landscape mulch is guaranteed to retain its vibrancy no matter what the weather and its rich tones for many years. In addition, mulch helps keep the soil at the right temperature and keep it moist, which will help the plants stay healthy. So surround your trees, shrubs and flowerbeds with Rubberecycle's landscape rubber mulch today and forget about mulching for years! Your garden may not look like this, but close?